By 2008, after 4 years of planning and development, all the necessary consents were in place to enable the construction of the Sheringham Shoal Offshore Wind Farm to commence. The eruption of the global financial crisis in late 2008 delayed work until 2009, when the creation of the new Outer Harbour at Wells-next-the-Sea commenced; this small North Norfolk harbour town was chosen as the base of operations being the nearest port for personnel vessel access to the wind farm site. 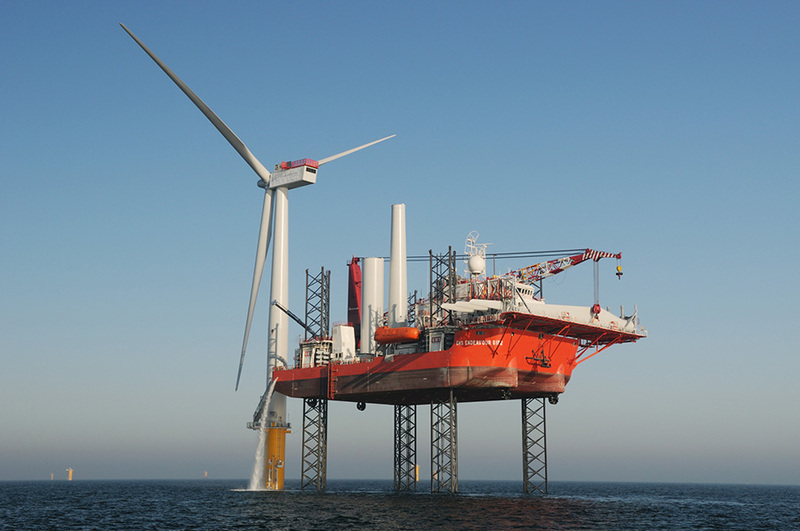 GM Endeavour installs the Siemens 3.6MW turbines at Sheringham Shoal.